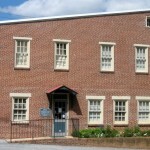 Welcome to the website of the Historical Society of Dauphin County. 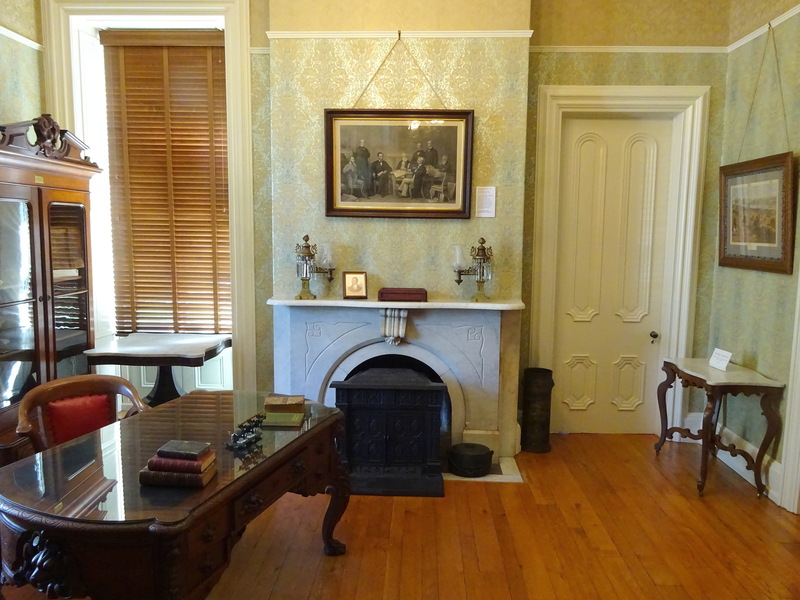 Guided tours of the Harris-Cameron Mansion are available Tuesday-Friday at 1:00, 2:00, and 3:00 p.m. and the second Sunday of each month at 1:00 p.m. Our experienced docents will greet you in the Society’s office, located in the brick office building, and accompany you through the east garden to the front door with its view of the broad Susquehanna River, where you will enter the 19th century Victorian home, little-changed since it was occupied by U.S. Senator Simon Cameron, his family, and his descendants from 1863 to 1941. You will see Cameron’s office with his own furnishings, the large Victorian parlor with its celebrated French mirrors, a lovely glass-filled solarium with French wallpapers, and, among other intriguing rooms, bedrooms furnished in Colonial and Victorian styles, and a spectacular Art Deco bathroom added by the mansion’s last owner in 1929. The Alexander Research Library is open to the public for a modest admission fee Tuesday-Friday 1:00 to 4:00 p.m. and the second Sunday of the month from 1:00 to 4:00 p.m. 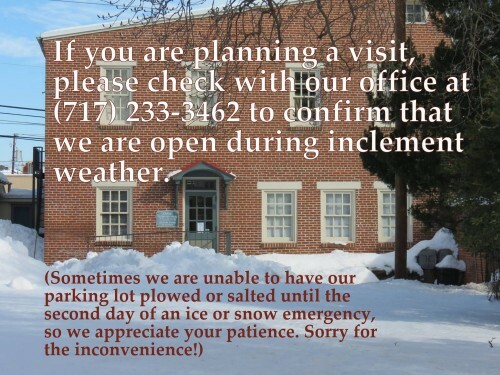 Historical Society members may use the library free of charge. For additional information, please phone (717) 233-3462. Did you know we have a Museum Store with publications, maps, posters, note cards, and more? Stop in our office building during regular hours and see what is perhaps the area’s best selection of local history books. You may just find the perfect gift — for yourself or someone else! To order many of our products online, look here. 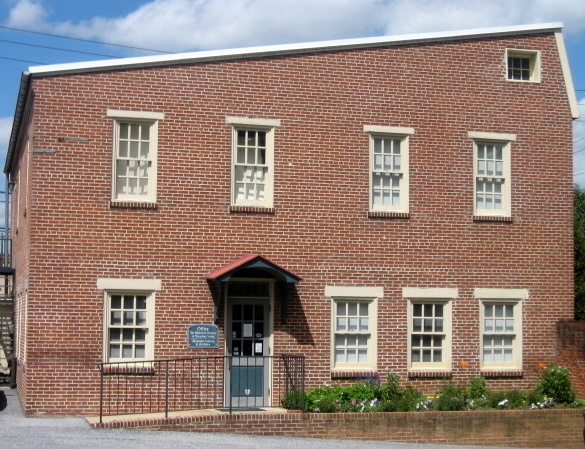 The Historical Society of Dauphin County (HSDC) was founded in 1869 at Harrisburg, Pennsylvania, the capital city of the Commonwealth of Pennsylvania. 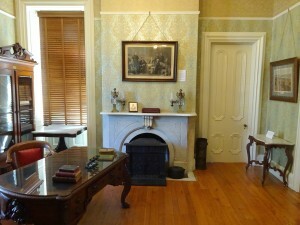 Early programs and displays were offered in the 1860 County Courthouse. In 1906, a prominent Harrisburg family donated its Front Street home to the Society as its headquarters. Here the Society remained until 1941, when the heirs of 19th century businessman and politician Simon Cameron gave to the Society their home, built by early settler John Harris, one of the city’s founders. The mission of the HSDC is to collect, preserve, exhibit, publish, and promote interest in the history of Dauphin County for the education, enjoyment, and benefit of the public. The Ge orgian-style vernacular stone house was built c. 1766 by John Harris, Jr., whose father was an early settler in the region. Both father and son were tavern-keepers, traders, and ferry operators. 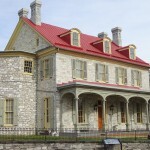 The house passed out of the Harris family in the early 19th century, when it served as a home for a distinguished citizen of the city and later has the Pennsylvania Female College. In 1863, Simon Cameron, Lincoln’s first Secretary of War and former Ambassador to Russia, purchased the house and transformed it into the Victorian home we see today. 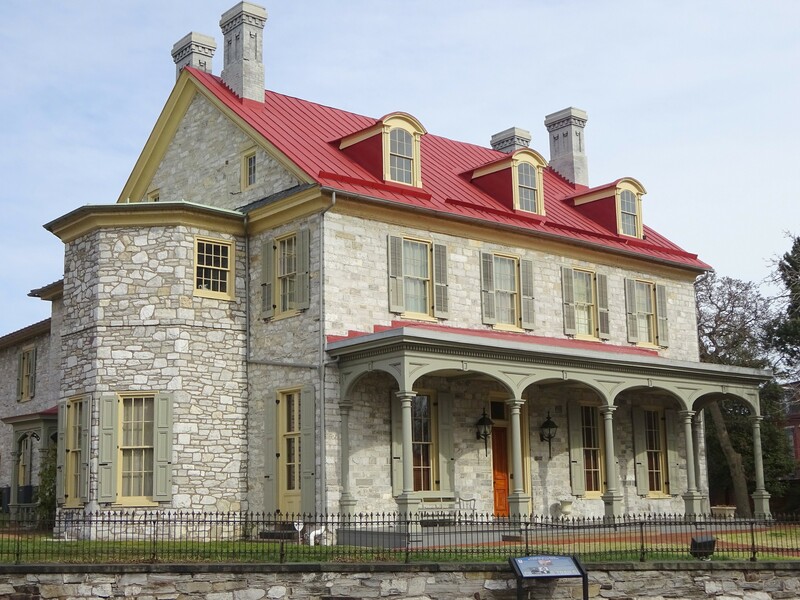 The house is a National Historic Landmark and is used for public and private events, programs, tours, and exhibitions of collections (which number approximately 15,000 items). In recent years nearly $500,000 has been raised and expended on extensive exterior (and some interior) restoration. In 2016 the 250th anniversary of the house was celebrated through numerous programs and events centering on the settlement known as Harris’ Ferry. The library, housed with the archives in an adapted 1890 brick stable built by Gen. Simon Cameron adjacent to the mansion, contains 3,700 books on local history and genealogical data related to Dauphin County. All sorts of encyclopedias, community histories, genealogies, church, marriage, and death information are found here, as well as Civil War regimental histories, and books relating to Native Americans, transportation history, and local buildings and businesses. Recently, a growing collection of high school and other yearbooks has garnered a lot of interest from library patrons seeking to learn more about their families.The library is open to members and the general public four afternoons a week and two Sundays a month. Members are admitted free; others pay a modest fee. 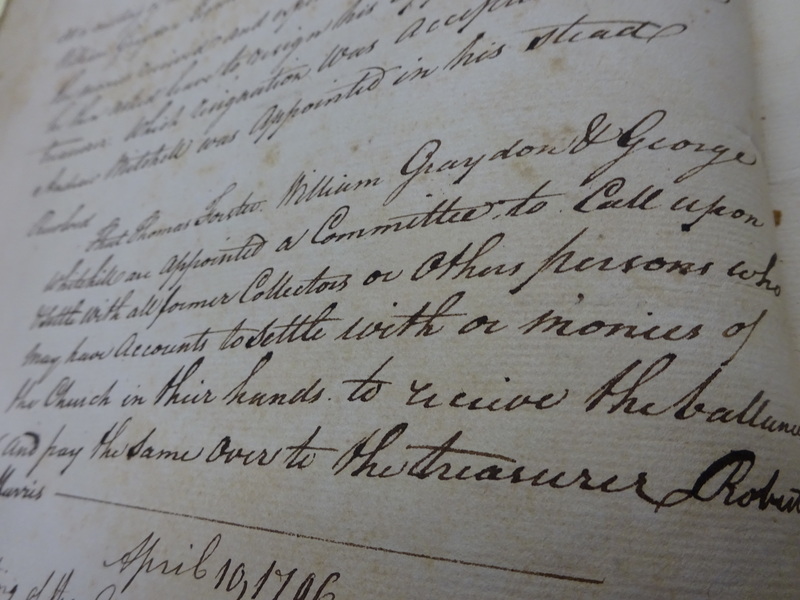 The archives, growing for over 130 years, contains 20,000 items in collections of historical records of individuals and families, businesses, agencies, organizations, institutions, schools, churches, military units, and other entities located in Dauphin County. The photo archives contains more than one million images dating from the 1850s to the present, including collections from prominent families and photographers, and the Allied Pix newspaper collection of 1952-1994. 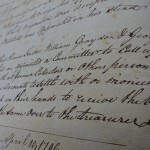 The archives is overseen by the curator of archives and collections. The HSDC publishes a quarterly newsletter, The Oracle. It maintains this newly-designed website, still a work in progress. It makes use of social media such as Facebook and Constant Contact and looks to expand further. It has a number of printed items and photos for sale through its website, including a monumental tome, Building Harrisburg: The Architects and Builders, 1719-1941, by the staff librarian. For upcoming programs and events, please see here, contact us at 717-233-3462, or email office@dauphincountyhistory.org.